Firstly I'd like to start off today by saying Happy Mother's Day to all of the wonderful Mum's out there, today here in the UK we celebrate Mothers Day. Well, what a week it has been. I don't really want to give away too much today about the past week, as I have a full Center Parcs update blog post up my sleeve for tomorrow. So here is a little snippet from the past week. Monday as you by now know, we set off for Center Parcs in Longleat. An obligatory stop was called for and a Starbucks Rose and Pistachio Mocha was consumed. I always like driving out this way and driving past the famous landmark that is Stonehenge. 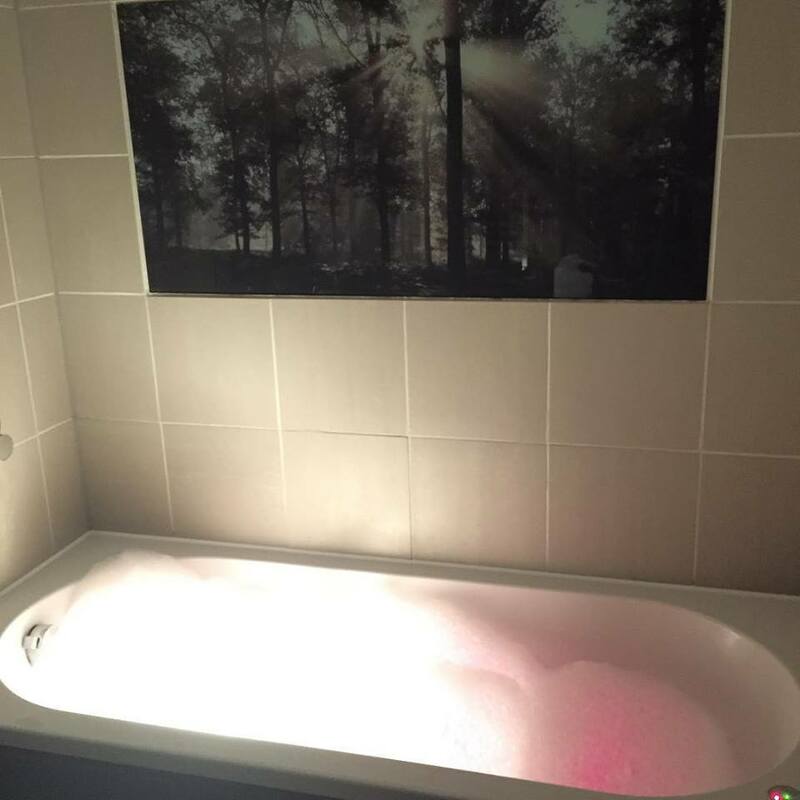 I enjoyed a Lush bath using the last from my Christmas range, the Bah Humbug bubble bar (yes, Lush products were packed for the week away!). We had a fantastic week with lots of walking and swimming, it felt good to be doing some form of exercise as opposed to spending my week sat on my backside. On the way home we stopped off to visit a friend which meant I got cuddles with this little one. Such a cutie and a very happy little lady indeed. Yesterday mostly consisted of washing, washing and more washing, the downside to going away. However a visit into town was made and a new pair of glasses bought for myself, plus a bit of a pamper while hubby popped out for the evening. My skin is so dry from all the swimming the past few days so I'm hoping this will help. So this pretty much sums up my week. Make sure you check back tomorrow to see the week at Center Parcs in more detail. Enjoy the rest of your weekend and I hope the next week is a good one for you. It never occurred to me to pack since Lush stuff for when I go away! Hope you had fun at CP! Looks like you had a "pretty" filled week! I wish they had kind of latte here in Canada. Sounds delish! I've been enjoying SB "Smoked Butterscotch" latte instead! Always nice to have a break away.